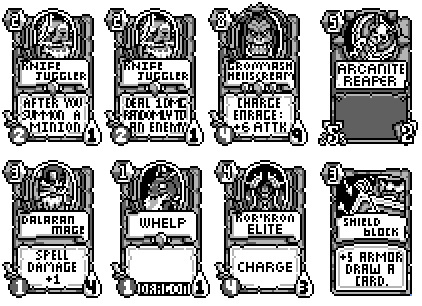 If you’ve ever wondered what Hearthstone would have been like on the original Game Boy, wonder no more. 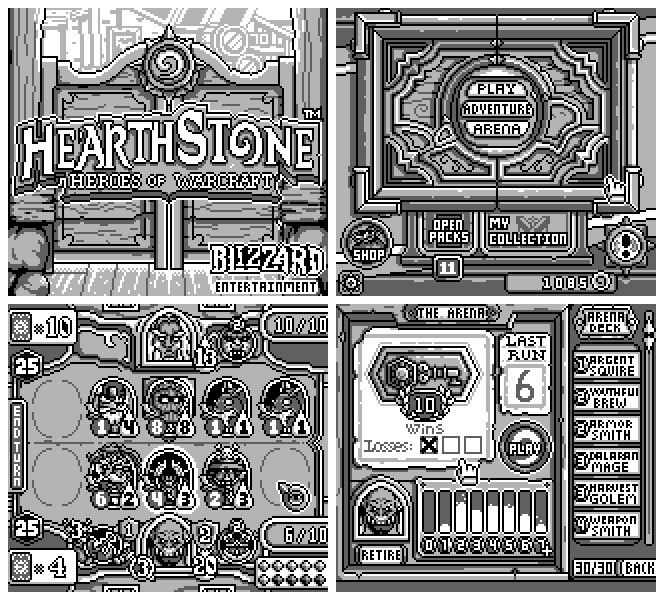 A digital artist by the name of Pixelpowerluke from Game Boy Demakes is currently teasing fans with images of what Blizzard’s online card game would have possibly looked like if it was ever released on Nintendo’s iconic handheld. While this sort of demake or even partnership between Nintendo and Blizzard is unlikely to ever happen, at least we can take solace in the fact that Nintendo recently released the Game Boy Color title Pokémon Trading Card Game on the 3DS eShop in the UK & EU as a Virtual Console offering. Along with confirmation by The Pokémon Company that the TCG Online is on its way to iOS later this year. 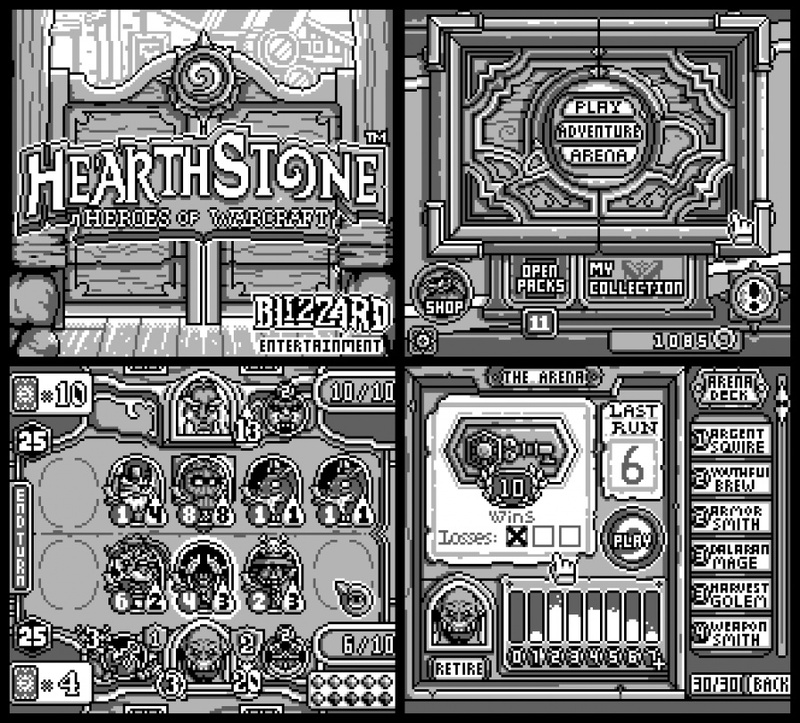 So if you need to ease the pain of the Hearthstone demake not actually being real thing, pick up the original TCG classic in you live in a region where it's available, else head over to the official Pokémon website and start playing online today! could a gameboy handle these much layers? I'd buy it. Getting out the Link cables for multiplayer play. 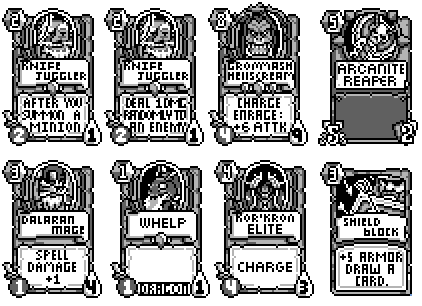 @Dawn-Shade - No, a Gameboy would never be able to actually handle this - it's just about the fun of making the screens. There's no way a gameboy could handle that, haha. Still, cool pixel so the same. Pokémon TCG hasn't come to the Americas yet though, has it? At least we have The Pokemon Trading Card Game? What a jerk thing to write. Yeah, you Europeans have it. We Americans probably won't even get it this year. Or ever for that matter. The playing field only has room to lay down 5 cards, so it would be quite different from playing the normal game. The pixel art is awesome though, and I would like to see more of it! It's pretty cool. He did a nice job. @ColdingLight Oi, considering how many retail 3DS games America has that Europe gets with a delay from one year to never, I think it's fair trade. Or, at least, unfair compensation.